Join us as local artist Veronica Van Jura hosts an interactive abstract art session at The Frye Company. Watch as Van Jura works with acrylic paints to create a new custom piece. Live creations are bold and exciting to watch – attendees will not want to miss this opportunity to witness her work and ask questions along the way as she completes a masterpiece! Art is all around us, it just depends on what inspires you. What makes your mouth water on a cold bomb cyclone day in Boston might not be appealing at all on a hot July Sunday on the Cape. Just as weather impacts your appreciation of a meal, your choice of beverage can take a meal from good to great, or even from great to extraordinary. The art of pairing is an educational piece where you can learn the key to a successful meal–the passport for a beautiful harmonious marriage between food and drink. We will be serving Tenure Peach Fizz with smokey pulled pork sliders, Garden Punch- a Rosemary Rhubarb Lemonade, with cornbread, and a Coldbrew martini served with Pecan Pie! This event is 21+. Do you want to: Improve your overall playing and musical ability; Introduce yourself to piobaireachd; Pick up new techniques on tuning, pipe and drum maintenance; Bring back new ideas to your band; Challenge yourself against internationally recognized standards; Or just play your heart out for a week and make some new friends? Then this could be for you! The New England Academy of Piping and Drumming returns again to the Adelynrood Retreat and Conference Center in Byfield, MA from Sunday June 16 to Friday June 21, 2019 for the annual Scottish bagpiping and drumming seminar. Small classes, intense instruction, and great camaraderie make this summer camp a must. Instruction. We provide top-flight professional instruction in piping and drumming in an affordable and enjoyable environment for those from beginner to experienced. While focused on adult learners, we are able to accommodate a limited number of teenagers as part of our program. Typical Daily Schedule: 0745 - Reveille 0800 - Breakfast 0900 - Morning Assembly 0915 - 1200 – Group classes with other students of your ability level. Evaluations take place on the first day of camp to form the classes. 1200 – Lunch 1300 - Group class 1500 – Piobaireachd Class / Individual tutorials 1600 – Band Practice 1730 – Dinner 1900 – Evening group workshop 2000 – Ceilidh - Scottish & Irish folk music, singing, dancing, storytelling The camp schedule is relatively intense but leaves sufficient time for practice, recreation, and social time. The instructors are available full time to provide assistance. Each student is given an assessment and debrief on the last day. The camp continues the tradition of holding a public parade in Newburyport. MA followed by a ‘pub night’. At the end of the week, students may take one of the Academy’s examinations in piping or drumming as a confirmation of their learning achievement. All students receive an attendance certificate. 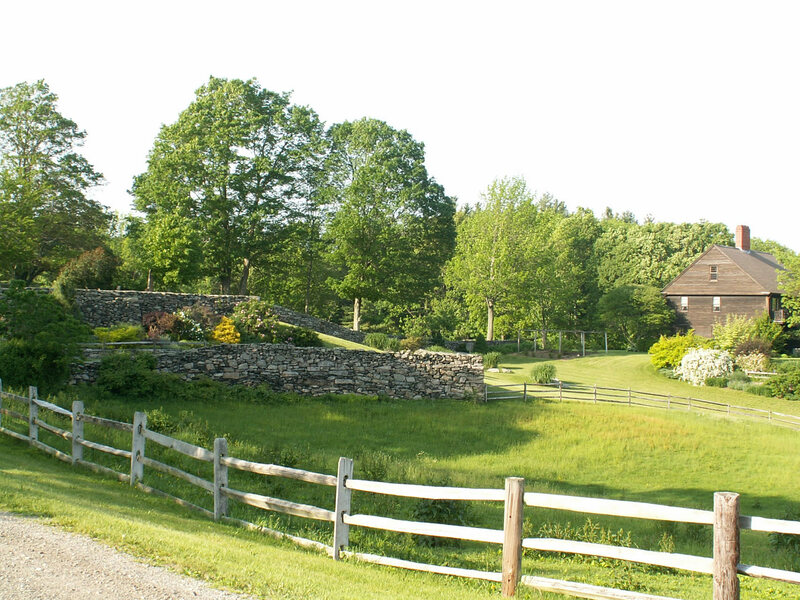 Adelynrood Retreat and Conference Center Just 45 minutes north of Boston, Adelynrood is situated on 15 secluded acres in quiet Byfield, MA minutes away from historic Newburyport and Salem and the beaches of Plum Island. The facilities accommodate up to 70 overnight guests in single and double rooms. Adelynrood's on-site chef provides an eclectic and tasty meal selection in their dining room and can also accomodate special diets. The Center also includes a historic chapel, multiple libraries, screened porches, air-conditioned conference rooms, a labyrinth, wooded paths, and multiple gardens. Adelynrood’s beautiful setting and excellent facilities are an ideal location in which to improve on your piping and drumming. Instructors Principal of the Academy Robert Wallace is a double Gold Medalist and Grade 1 piper. He has taught piping all over the world including the US, Canada, Australia, South Africa and Europe. He is a senior adjudicator for solo competition and an examiner for the Piping and Drumming Qualifications Board. Mr. Wallace is also Vice President of the Piobaireachd Society and editor of the web magazine, pipingpress.com. Piping Instructor Matt Pantaleoni. is a piping instructor in St. Louis, Missouri and spends a part of each summer in the Highland games circuit in Scotland. Starting in 1997, he studied primarily with the late P/M Alasdair Gillies (Queen’s Own Highlanders/The Highlanders) and Jimmy McIntosh. As an amateur, he won the U.S Piping Foundation championship in 2001 and 2002 and took prizes in both the George Sherriff and Nicol-Brown invitationals. He has won multiple prizes at the Dunvegan Medal (Skye) and Braemar Gold Medal piobaireachd competitions in Scotland. His pupils have achieved great competitive success in North America. Piping Instructor – Donald McBride was taught originally by his father Willie Mc Bride, played in his band for many years and went to Donald MacPherson for piobaireachd instruction. He also played in the Muirhead & Sons pipe band under P/M Robert G. Hardie. Donald also took piobaireachd lessons from Andrew Wright. He has been placed 2nd twice and 3rd twice in the Gold Medals at the Northern Meeting and Argyllshire Gathering. He won the A Grade March at the Northern Meeting in 1982 and has been 2nd and 3rd in the Strathspey & Reel events at Oban and Inverness more times than he cares to remember. Presently he lives in Kansas City. Snare/Side Drumming Instructor - Tommy Johnston started drumming in 1963 with the then Grade 4 Field Marshal Montgomery Pipe Band. With various bands, Tommy has won all the major pipe band drum corps titles with the exception of the World Championship. Since retiring from competing in 1996, he has been teaching and judging . He is presently the Leading Drummer for the Scots Guards Association Pipes & Drums and a senior partner in Pipe Dreams, the manufacturers of the world famous ‘Ezeedrone’ drone reeds. Registration, Meals, and Accommodation We have changed our registration process this year and gone "a la carte". Every student must choose the "Instruction Package" and then can customize the meals and accommodations to suit his or her individual needs. Instruction - $575 total ($300 deposit to hold your spot and a $275 balance due 7 days before the Academy) All meals - $250 Lunch and Dinner only - $195 Full accomodations only - $390 All meals and accomodation - $640 For those who want the "inclusive" package, select the Instruction and All Meals and Accomodation packages. Day students or those attending with spouses and families have a number of options. As a Day Student, select the Instruction package and the meal plan that suits your needs. There are also a number of hotels, B&B's and camping options available for those who do not want to stay at Adelynrood. Hold your spot today by making the deposit on the Instruction package ($300). All balances are due 7 days before the Academy begins. Questions? Please do not hesitate to contact Bruce Beavis at +1-773-580-1733 or ne.pipedrum.academy@gmail.com with any questions on the Academy. Wine Labels are a crucial part of wine shopping. It is the sole source of information on a product and a driving force in helping consumers make decisions. But what often makes a shopper pick up a certain bottle versus another? The imagery on the bottle of course! That’s why we are hosting the first ever Wine Label Design Contest at Bauer! Submissions will only be accepted during ArtWeek and must be designed around the theme of the contestant’s choice. * Bauer will have a design area for contestants and each entry will be showcased on our social media. Entries will be accepted from September 30th to October 7th. Then, on October 8th and 9th stop by Bauer Wine & Spirits to vote for your favorite! The winner will receive two tickets to our annual, private, and VIP ‘The Best for Our Best’ wine tasting event at the Boston Harbor Hotel on November 15th where they will taste over 80 wines, mingle with the industry’s leading experts, and indulge in food pairings from Chef Daniel Bruce, Executive Chef and Founder of the Boston Wine Festival. Our event allows contestants the possibility to express their artistic side through drawing, sketching, painting, even charcoaling, in order to create a wine label based around the theme of their choice. * Contestants must follow the general layout of a label, including the front and back. It may not be larger than 4” x 5” per side. All submissions must be designed and entered between September 30th and October 7th by visiting Bauer Wine & Spirits where you can hand in your submission to any member of our team. The winner will get to attend one of the biggest and most exclusive wine tasting events in the city where guests interact with the top wine executives while sipping on over 80 wines. You’ll also get to experience the food and wine pairing talent of Chef Daniel Bruce who makes a special menu each year specifically tailored around the wines that will be showcased. While there receive a sneak peak of Chef Bruce’s 2017 Boston Wine Festival lineup while indulging in his creations and discussing his love for food and wine! Be sure to check out other events happening on Newbury Street all ArtWeek-long! #TheFryeLife, featuring a special guest artist, will host an embroidery customization event at its Newbury Street location. Nurtured by craftsman since 1863, The Frye Company in turn pays tribute to the craftsmen and women of today, who are dedicated to their craft and pushing the boundaries of handcrafting product. Special for ArtWeek, The Frye Company will have an artist on site doing an embroidery demonstration and is offering detailed embroidery on their newest accessories collection, to make your purchase a one-of-a-kind piece. This will be something you do not want to miss. Guests are invited to view a true artisanal craftswoman at work and ask questions about her process and inspiration!